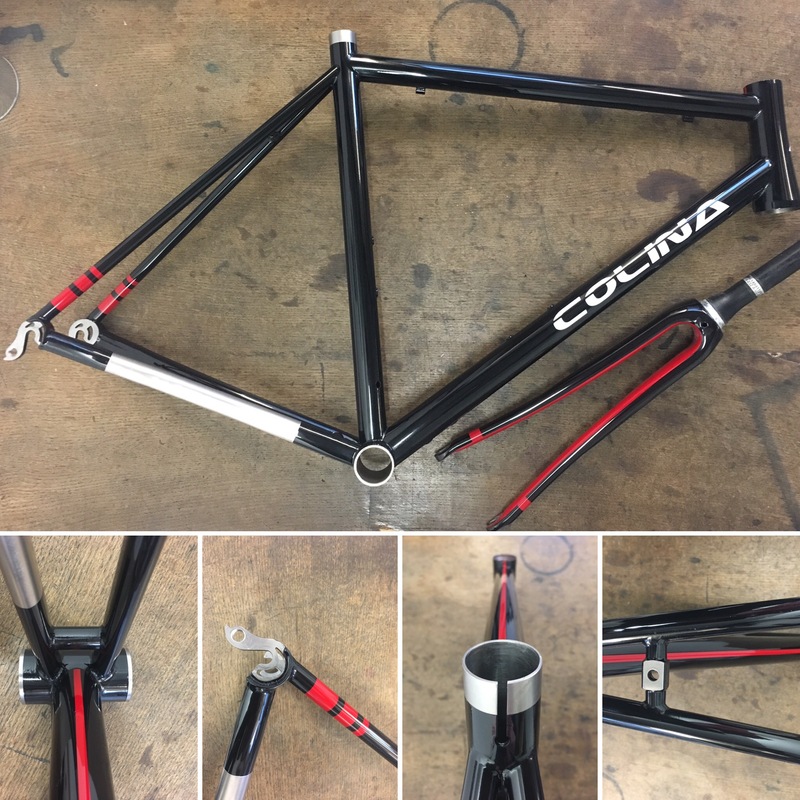 Colina Abanicos titanium frame with custom paint. 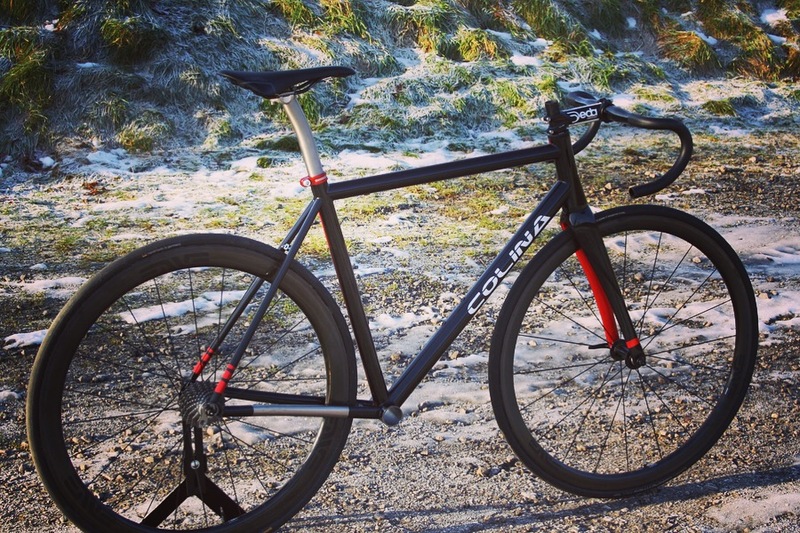 One off custom painted Abanocos frameset in 56cm. 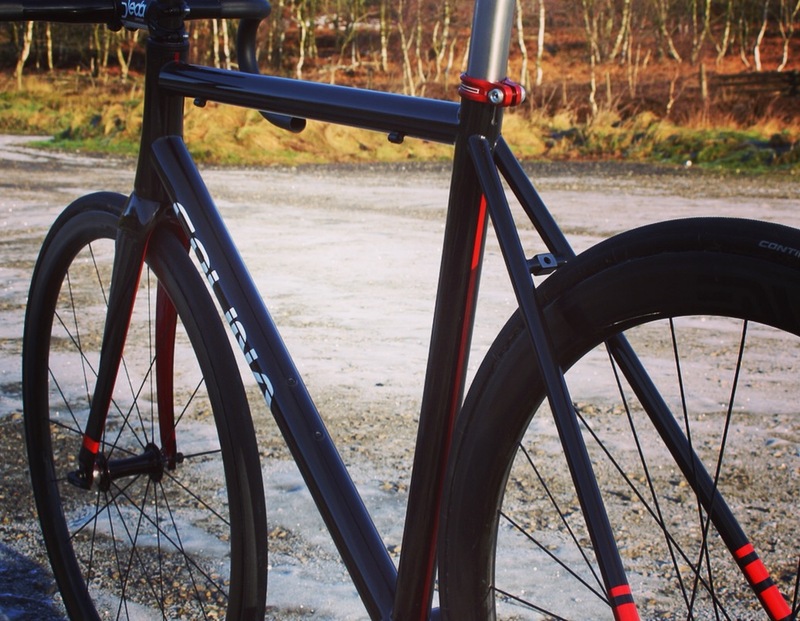 Gloss black & red. Hand painted in Sheffield. 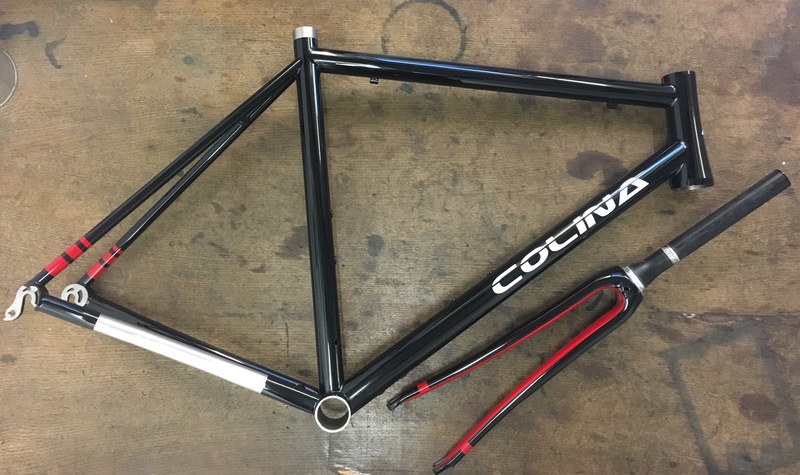 Colina logo is painted, not a decal! 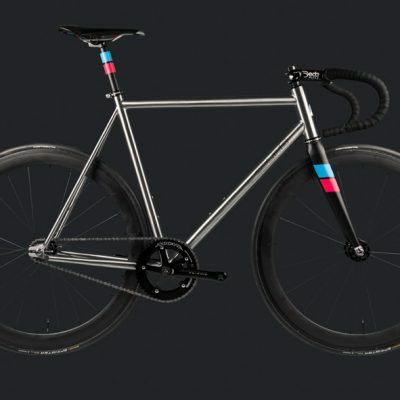 Exposed titanium on the chainstay to prevent paint damage from chain slap. 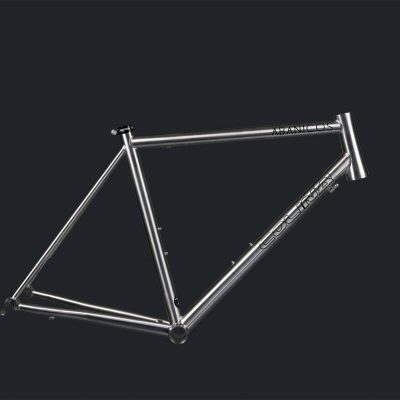 We have also left exposed the dropout clamping area, edge of the bottom bracket and brake contact area to ensure long paint life.